Here is a closeup of the diamonds. I used Crystal Stickles around the diamonds. Stunning card for Valentines, Katy! Thanks for playing along with us at Let's Scrap. Lovely Valentines day card. Love the glittery edges. Thanks for playing along with us at Let's Scrap. 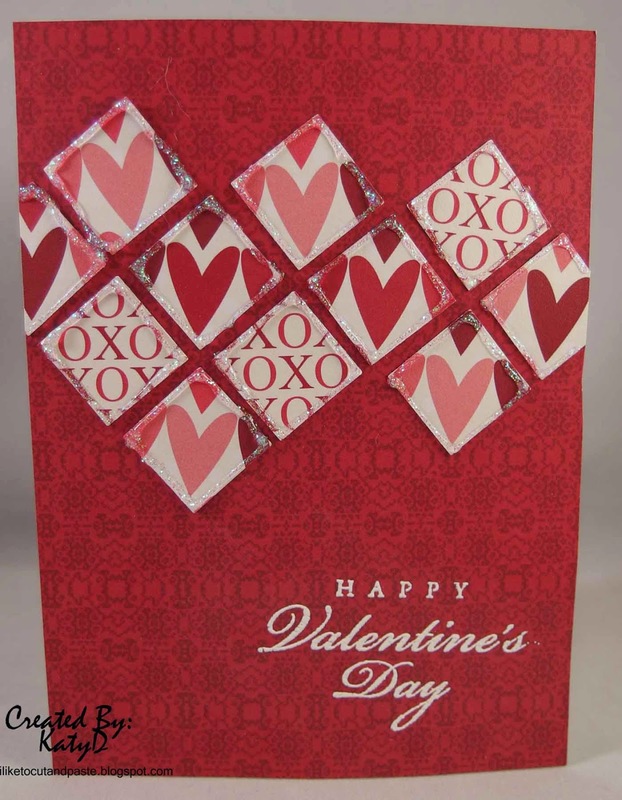 Lovely cute card for Valentine's Day. Thanks for joining us at Let's Scrap! wow this is totally gorgeous.. great designing. great details! 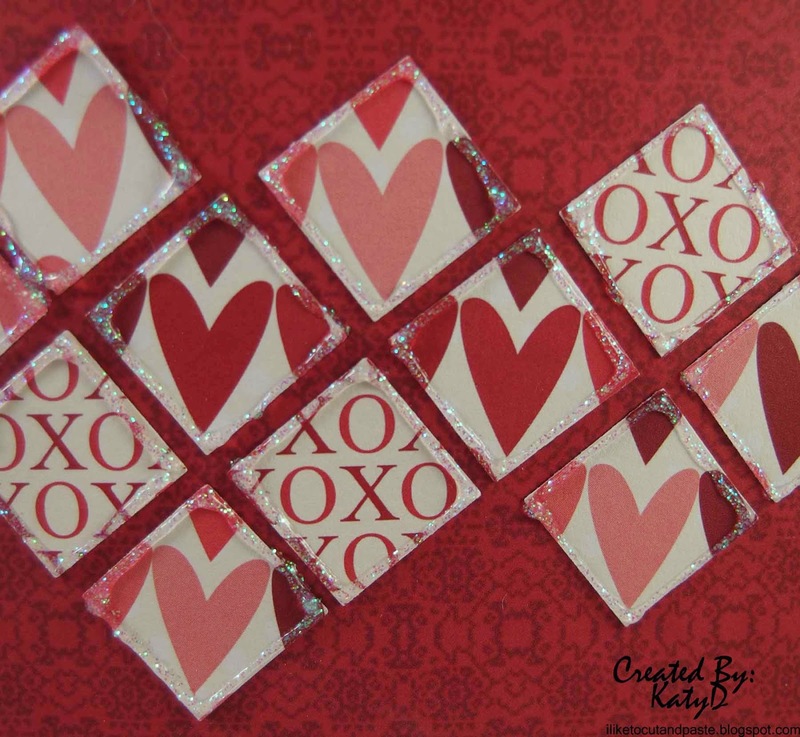 love the valentine theme :) glad you were able to play along this week at Let's Scrap! Pretty card! LOVE how you outlined the diamonds! !